Identifying and assessing the ways in which changes in the marketing mix affect consumer behavior is key to a successful marketing strategy. With learning objectives at the beginning of each chapter, a host of cases and a comprehensive companion website, this book offers a range of tools to help students develop and test their research and analytical skills. 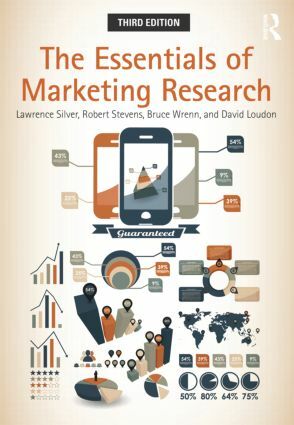 Lawrence Silver is Associate Professor of Marketing and Management at the John Massey School of Business, Southeastern Oklahoma State University, USA. Robert Stevens is the John Massey Endowed Professor of Business at John Massey School of Business, Southeastern Oklahoma State University, USA. Bruce Wrenn is the Colson Endowed Chair Professor of Marketing at the School of Business Administration, Andrews University, USA. David Loudon is Professor of Marketing at the Brock School of Business, Samford University, USA.